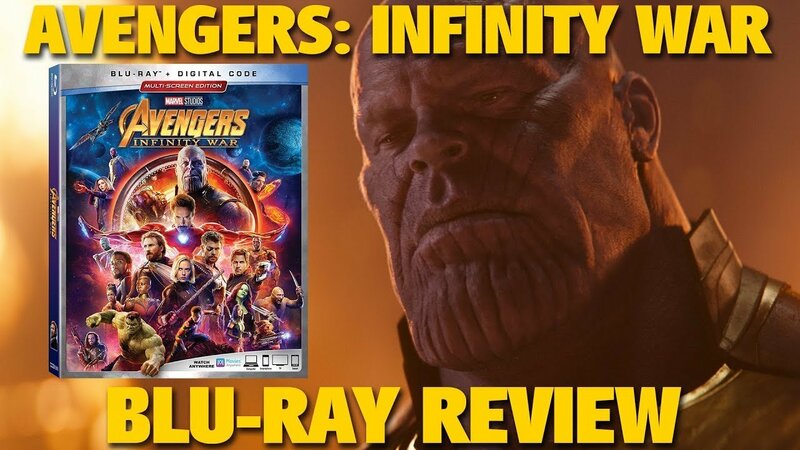 In our latest Disney Blu-ray review, Craig takes a look at Avengers: Infinity War as part of the Multiscreen combo pack with Blu-ray and a Digital Copy! Craig, I don't feel so good…. Thank you, Craig! I picked up my copy first thing this morning. Having a popcorn, candy, and movie night as soon as the popcorn is popped! I didn't even watch all of the MCU films but I saw this. It was cool. I had all my cash on Vision…. Had to assume that the bonus materials would be on the light side – once Avengers 4 is released next year, I'm sure they'll release some special "Avengers Assembled" mega-edition with extended cuts of both films, extras out the wazoo, collector tchotchkes, retailer-exclusive covers, etc. These initial releases are OK if you're primarily interested in the film but, if you're looking for the bonus stuff, most times you're better off waiting. Lucky Craig have to wait until Sept 6th in my country but only 3 weeks I will survive not as some heroes in it so far. Interesting what we get in CPT. MARVEL in MARCH and few weeks later with the conclusion. Do you think they could get a success like this year again???. cut those scenes for reasons but sometimes they could let them inside in some movies. of course it gets better with avengers 4 watching both side by side and you enjoy it even more. I stopped buying Marvel movies on Blu-ray after the first Avengers because their special features are so lacking. There's no reason why they shouldn't have an hour of features per film at a minimum. But they usually have like 15-20 minutes of really basic stuff. I just rent them from Redbox and watch all of the special features, or find them on YouTube. I only buy movies now if they're loaded with features or if I get them really cheap. Is there an extended cut? The clip at the end 😀 !! I have seen Infinity War in IMAX 3D Twice. AND YUCK this BluRay is Plain YUCK YUCK YUUCCKK with that Stupid 2:39 Ratio. I just can't get my mind off those UGLY BLACK bars.